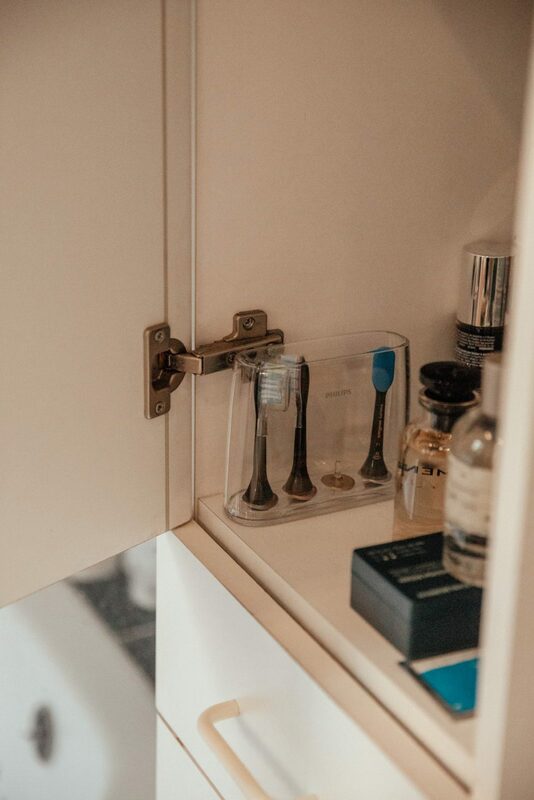 We all want to know how to care of our skin and which products or tools to use. 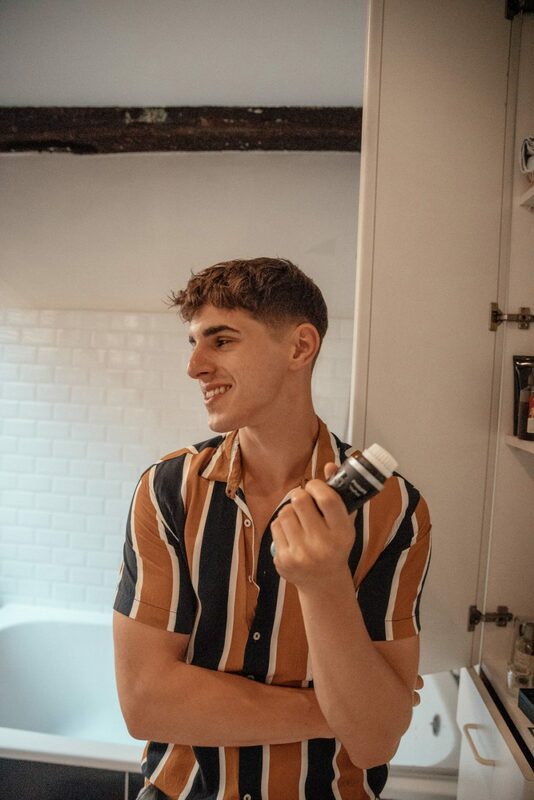 I’ve been wanting to share a piece of advice about my grooming rituals for a while now, and I’ll therefore also be doing a video to go deeper into my morning rituals. Though it’s more fun to see in a video, for now I thought it would be useful to write down which tools I use for my morning routine. 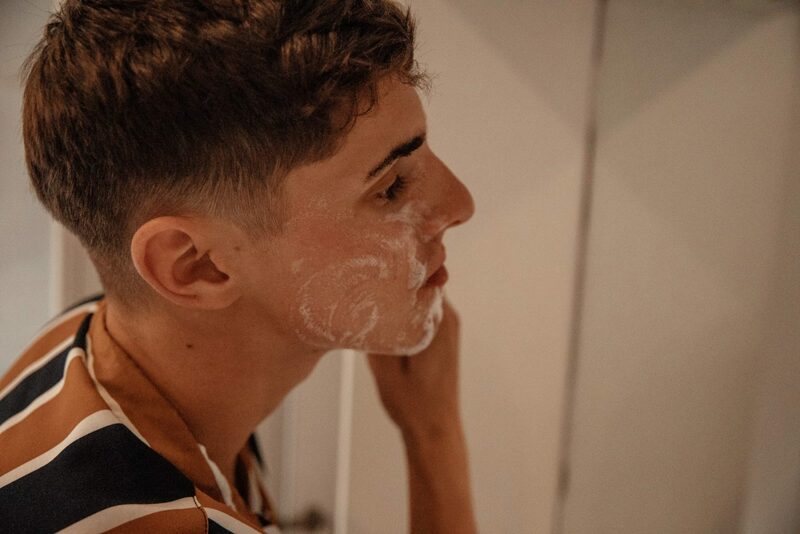 First up, if I decide to use a razor, I’ll shower before shaving my face, because the steam from the shower allows for the opening up of your pores. 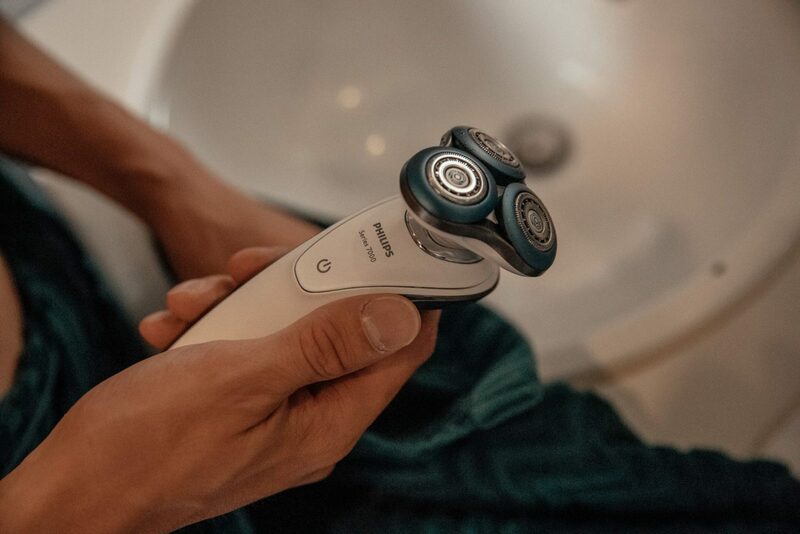 Shaving after having a shower will definitely give you a better shaving experience. 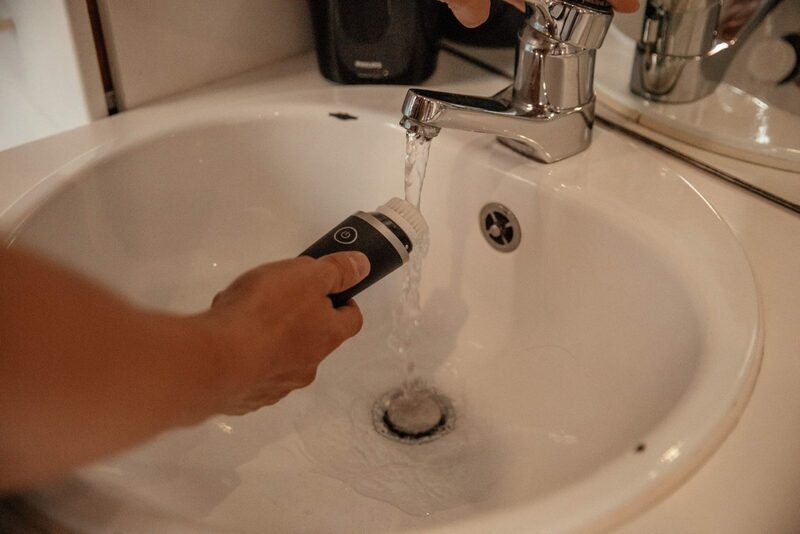 I don’t have a full beard, so I’ll often use a shaver to keep things quick and simple for myself, which is useful especially when you’re on the go, or don’t have much time to shave. 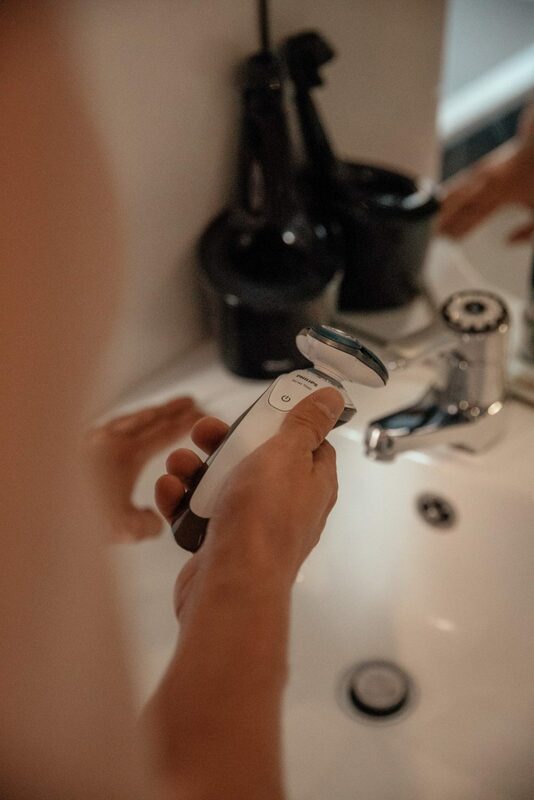 When using a shaver, try to shave before washing your face or getting into the shower. 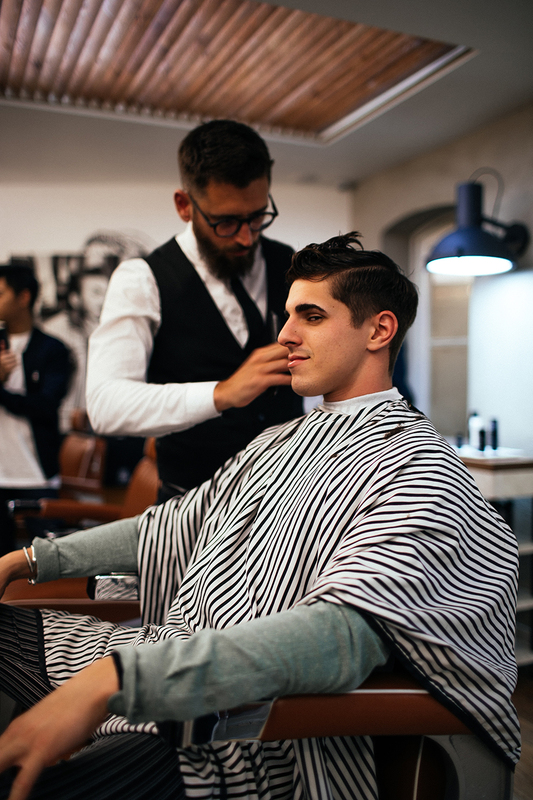 You’ll definitely feel the difference if you stick to this tip, as your beard’s bristles will stand on end and can be cut more cleanly when they’re dry. Then, secondly, a life-changer: The Philips sonicare. 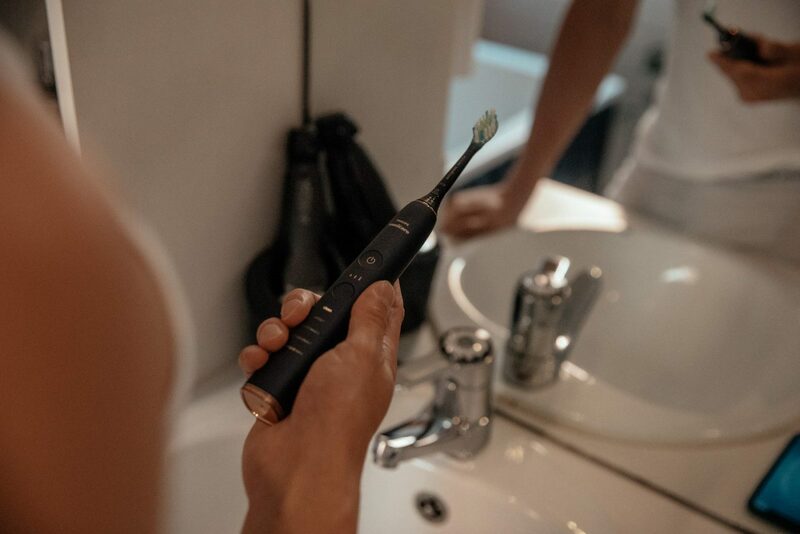 I’m lucky enough that Philips is sponsoring this post, but the real reason for this post is because Philips sent me a Sonicare as a Christmas gift, last Christmas. I was super chuffed with this little device, so I decided to team up with them for this post. With this being said, I was almost literally blown away with their new technology in making this toothbrush. Let me dig right in and explain. When you brush your teeth for example, it feels (no pun intended) super sonic. It’s like going to the dentist for a free all-in-one mouth and teeth cleanse. It cleans so much better than a regular toothbrush and my previous Oral B electric toothbrush. It’s on another level. It’s been a major update in my grooming routine in general, if you ask me. This toothbrush comes with four different brushes, each with a different function. It has 5 different brush modes and 3 intensity levels. 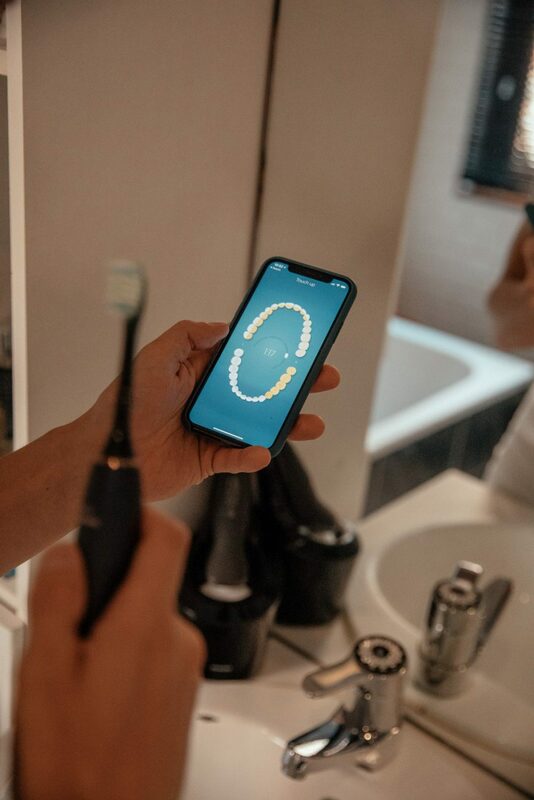 It’s packed with new technology inside, enabling you to even track your brushing experience on its app and will let you know when you skipped a certain part, or even when you have to replace your brush. It also comes with a very luxurious travel charger, which makes it really easy to travel with, which is kind of an important perk for me. 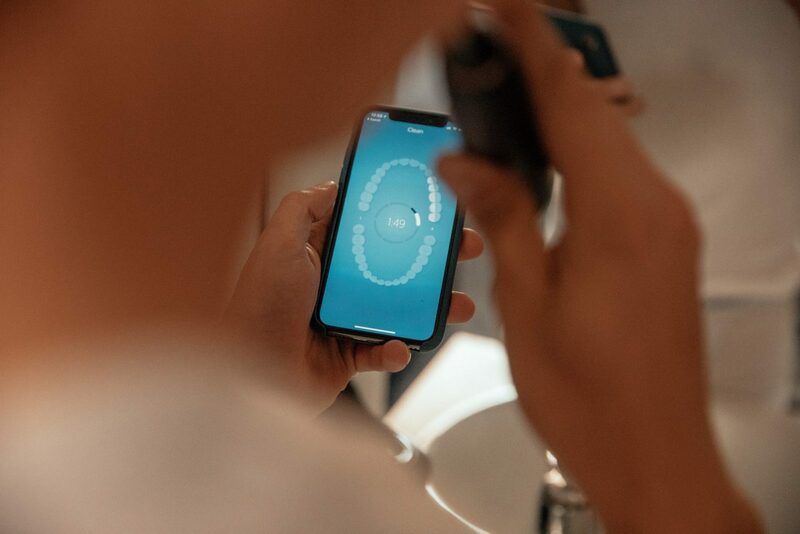 Click here for the Philips Sonicare. 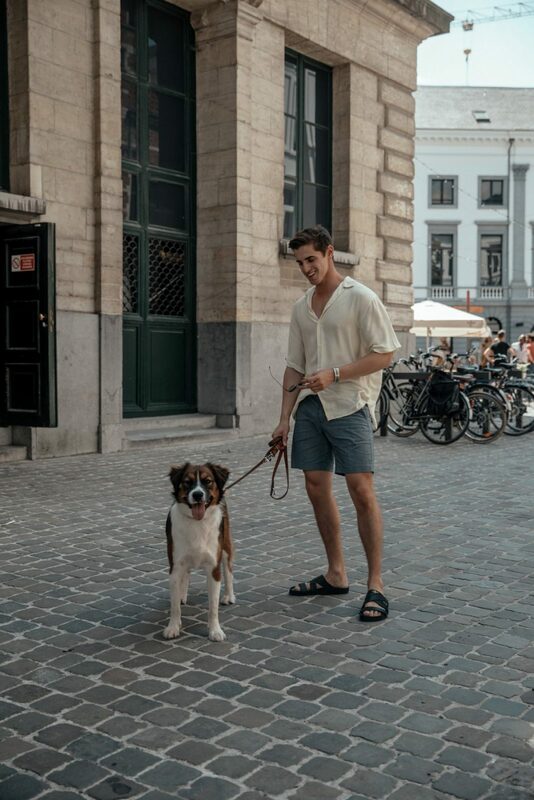 Belgian readers; Vanden Borre is currently doing a huge sale. It’s usually 329,99 EUR, but at their webshop you can now get it for just 269,99. Don’t wait too long! Click here. There’s something else I’ve been using for a while now as well: The VisaPure Men. I think this was actually my boyfriend’s christmas present, gifted by Philips -which I might have ‘annexed’ now. 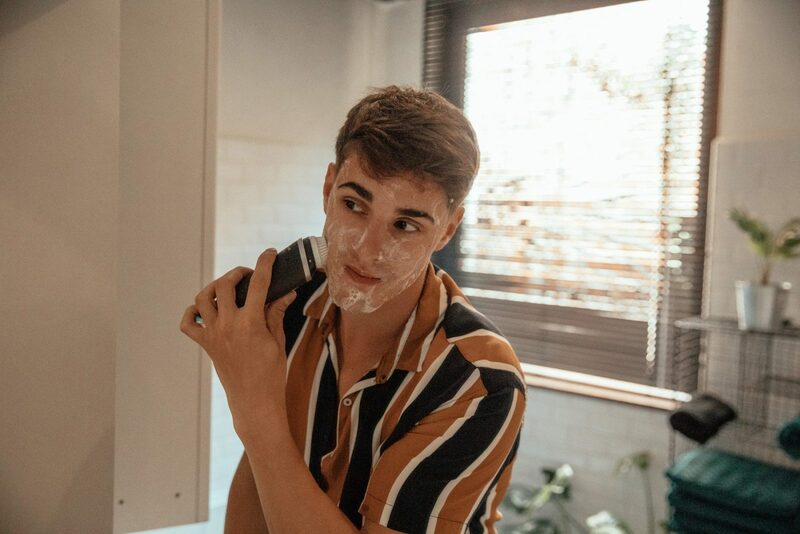 I always clean my face in the morning and evening. To cleanse your skin doesn’t only make you feel better, but it also prevents acne -which we could all do without. 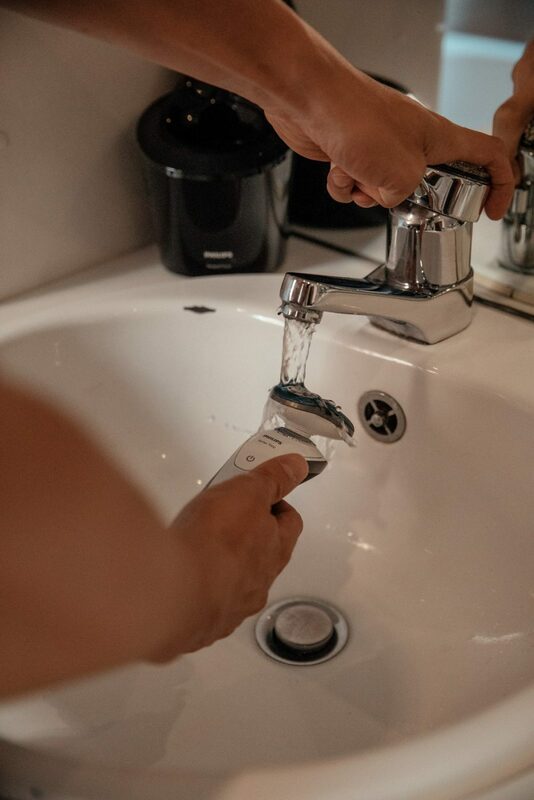 The VisaPure also works 10 times better than using your hands when washing your face. I’ve been using it for half a year now and I can see the difference it’s made. I have less acne and my skin feels a lot more supple. For my face wash, I use La Mer’s cleansing gel, which is not oil-based and doesn’t dry out your skin. It’s been the best cleanser I’ve tried thus far, so I think I’ll stick to this one for a while. Click here for my cleansing gel.